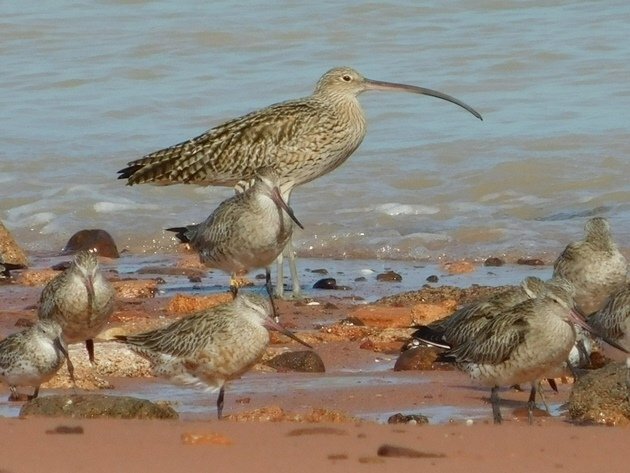 Over recent decades there has been a sharp decline in the population of Eastern Curlew visiting Australia during their non-breeding months each year. The Eastern Curlew is the largest of the migratory shorebirds to visit Australia and really can’t be mistaken for any other species. Not only is the Eastern Curlew a very large shorebird, but it also has a very long bill. In comparison the bill of a Whimbrel only extends half of its body length while the bill of an Eastern Curlew appears to almost be the length of its body. The female Eastern Curlew has a bill that can be up to 200mm long, whilst the male Eastern Curlew is a smaller bird with a bill length of about 150mm. The length of the Eastern Curlew’s bill is ideal for feeding on the mudflats around the world, where it feeds on crabs and molluscs. The Eastern Curlew Numenius madagascariensis was added to the IUCN Red List in 2016. 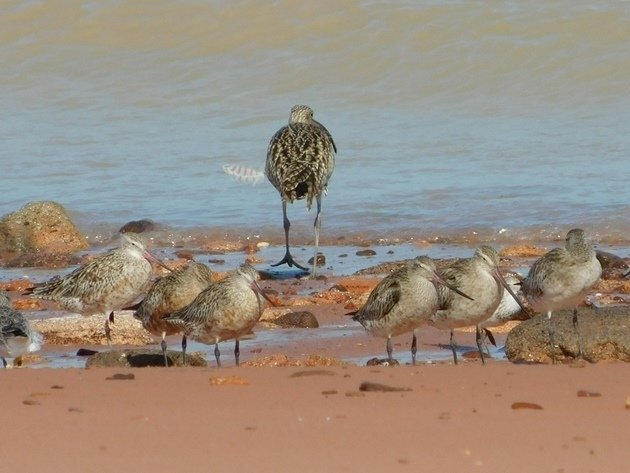 It has been recognised as a shorebird with a population in decline globally and we are very fortunate here in Broome to have part of the worldwide population visit each year during their non-breeding phase. 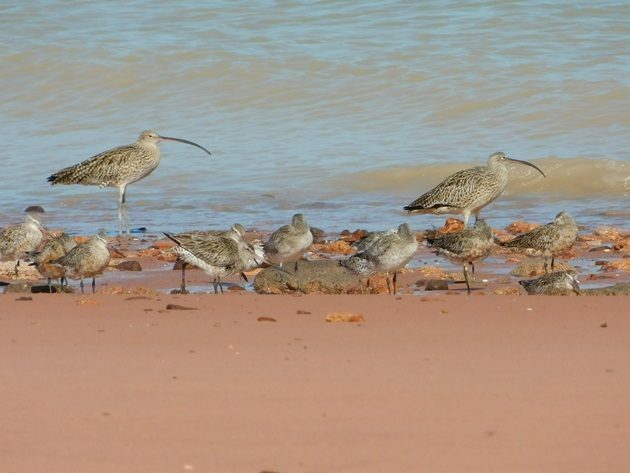 We have noticed there are less of all of the shorebird species in the years that we have lived in Broome. 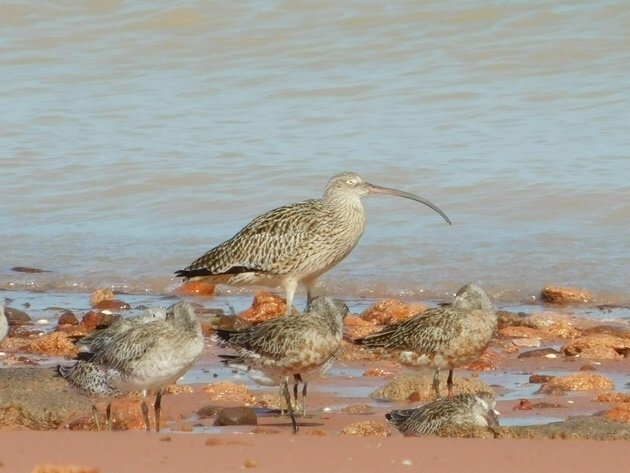 Thankfully the Eastern Curlew is easily observed around Broome and easily added to our Year List each year, but the flocks are smaller than in the past. The Eastern Curlew are one of the wariest shorebirds and soon take flight. They are also one of the more vocal of the shorebirds. 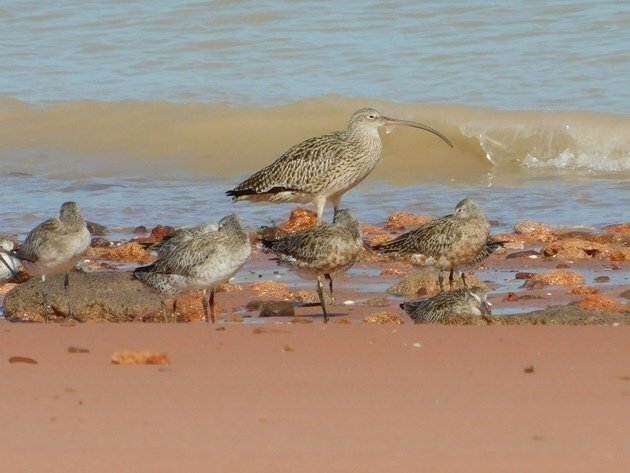 The Eastern Curlew are easily found around Roebuck Bay just beyond the Broome Bird Observatory when they have returned from the northern hemisphere by September. 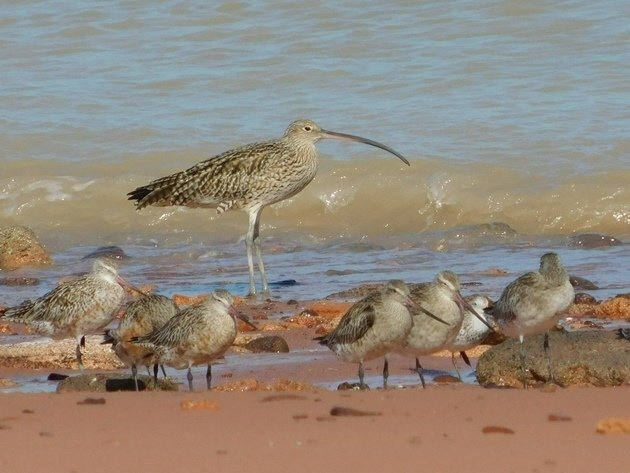 Eastern Curlew are the first of the migratory shorebirds to depart from Roebuck Bay to head towards the breeding grounds and they start to depart in the first week of March. 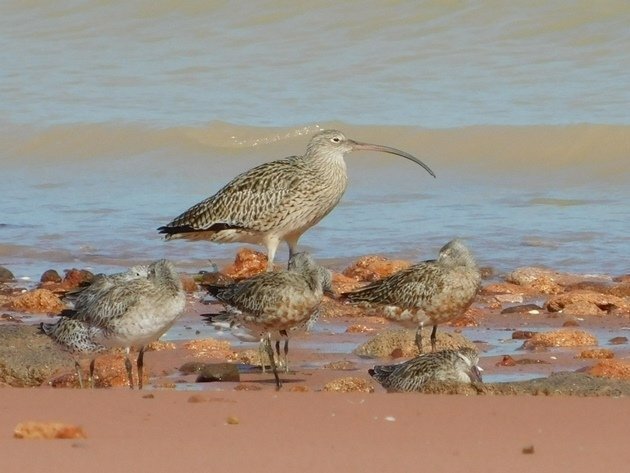 There is also often a small flock of Eastern Curlew near the Port of Broome at high tide. 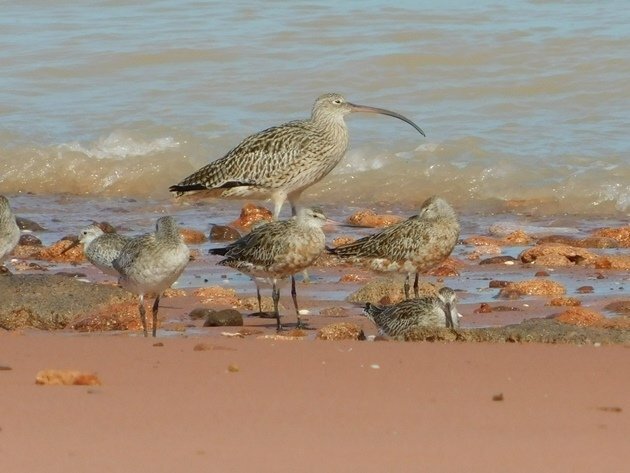 It is a complete oversight that I have not shown photos of the Eastern Curlew around Broome over the years! It made sense to share these recent photos before the Eastern Curlew takes off on its journey to the northern hemisphere to breed. Eastern Curlew with a feather blowing in the wind! Each year we observe the magnificent shorebird migration from Broome to the northern hemisphere. We then eagerly await the return of the juvenile and adult birds later in the year. You can see on eBird the movement of Eastern Curlews throughout the East Asian-Australasian Flyway. Mudflats are an important environment for many creatures. As the mudflats are developed along the East Asian-Australian Flyway, both in Australia and overseas, it has devastating results for all of these creatures and we will continue to watch their decline if governments are too slow to act.